SCVHistory.com | Tick Canyon | Collapsed Timber in the Sterling Borax Mine, ~1984. 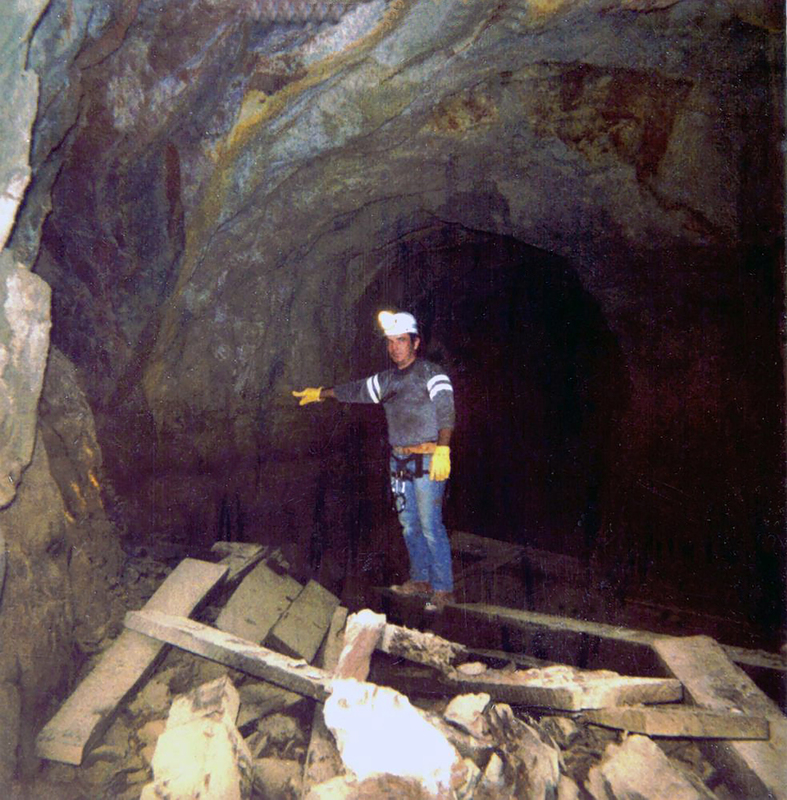 Collapsed timber inside the Sterling Borax mine, circa 1984. The man pictured is Kevin Doxey. From the Borax Collection, Death Valley National Park, National Park Service, Cat. No. LAN75. Located in Tick Canyon at Davenport Road between Sierra Highway and Agua Dulce, the Sterling Borax mine was active from 1908-1921. The tailings are still visible along Davenport Road; the camp is gone, but some of the dwellings still exist. sw_lan75: 9600 dpi jpeg from this jpeg image courtesy of Stan Walker.